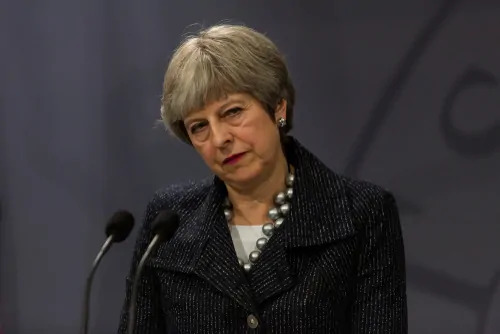 British Prime Minister Theresa May is in hot water after two members of her own cabinet have quit over their opposition to her draft plans for a withdrawal from the European Union. Among the resignations was Dominic Raab, the chief negotiator of the deal. It’s all a little complicated, but here’s an extremely simplified breakdown of, well, the breakdown. Britons voted to leave the European Union in a 2016 referendum, but the “Brexit” has been complicated by competing visions of what Britain would look like post-exit. Some Conservatives want to maintain a few economic ties to the rest of the EU, some want the split to be cleaner. The problem is, May’s proposal seems to be the worst of both worlds for her foes on both the Right and the Left. A common criticism is that her draft would mean Britain still has to abide by many the bloc’s trade rules but would be without a significant voice in the EU. Some Brexit proponents have characterized May’s deal as even worse than their current arrangement. The criticism has put May in a precarious spot, threatening her party leadership. Lawmakers on both sides of the aisle are grumbling about a vote of no confidence, and the pro-Brexit faction of the government seems to think it has enough votes to pull it off. Meanwhile, the Labour Party — the primary opposition to Britain’s Conservative party — was even less content, with party leader Jeremy Corbyn calling May’s deal “a leap in the dark, an ill-defined deal by a never-defined date.” The Labour Party campaigned against Brexit before the referendum and, generally speaking, will only grudgingly admit that the results of the vote must be respected.